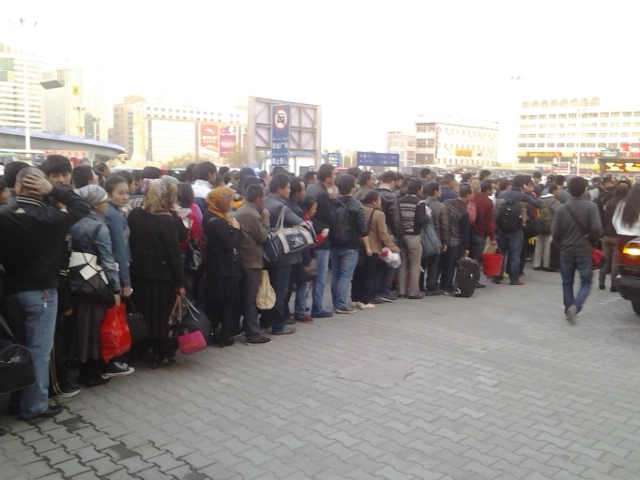 People wait at an entrance to the south railway station of Urumqi, capital of northwest China's Xinjiang Uygur Autonomous Region, after an explosion on April 30. 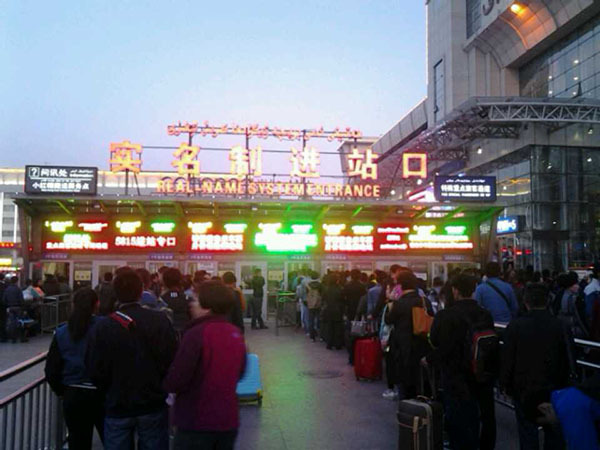 BEIJING - An explosion at a railway station in Urumqi, capital of China's restive far western region of Xinjiang, on Wednesday injured some people, state media said. 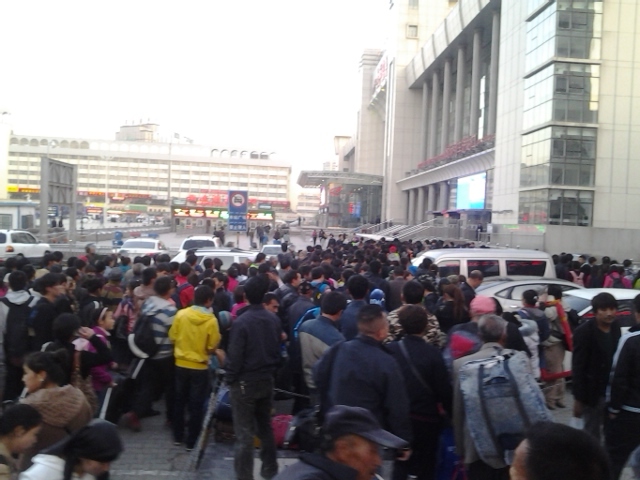 The blast happened at Urumqi's south railway station, the official Xinhua news agency reported. The People's Daily said on its official microblog that some people had been injured and taken to hospital. Neither of the media outlets said what caused the blast. Pictures on China's Twitter-like Weibo service, which Reuters could not independently verify, showed blood on suitcases and debris on the ground in front of the station. Another picture showed what appeared to be a small blast area near a police post, though it was unclear if there were any casualties in the photograph. 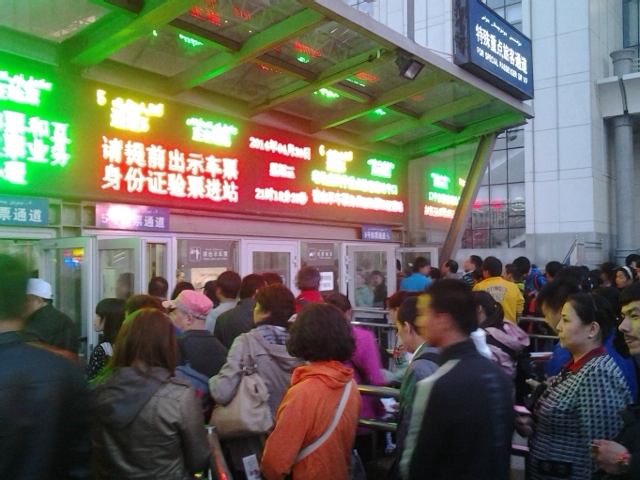 Calls to the Xinjiang government seeking comment were not answered. 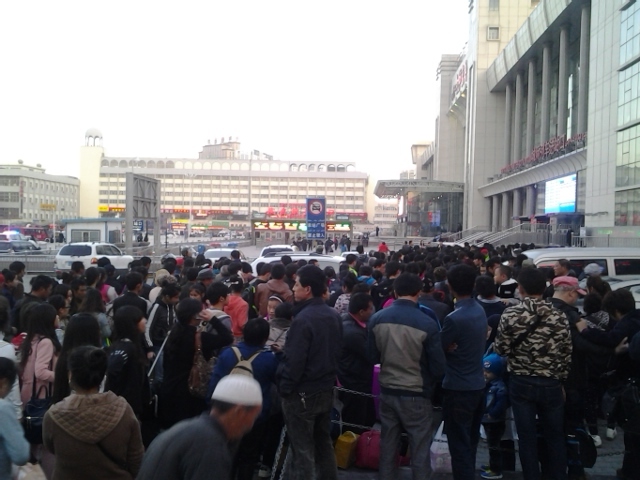 "Police are evacuating people in surrounding areas," Xinhua said. "Police have cordoned off all entrances to the square of the station. Armed police have been deployed in the square." The blast came just as President Xi Jinping was wrapping up a four-day visit to the region. It was not clear if he was still in Xinjiang at the time. "The long-term stability of Xinjiang is vital to the whole country's reform, development and stability; to the country's unity, ethnic harmony and national security as well as to the great revival of the Chinese nation," Xinhua quoted Xi as saying during his visit. Exiles and many rights groups say the real cause of the unrest is China's heavy-handed policies, including curbs on Islam and the culture and language of the Muslim Uighur people who call Xinjiang home. China's nervousness about Islamist militancy has grown since a car burst into flames on the edge of Beijing's Tiananmen Square in October, and 29 people were stabbed to death last month in the southwestern city of Kunming. Unrest in Xinjiang has led to the deaths of more than 100 people in the past year, prompting a tougher stance against Uighurs, many of whom chafe at Chinese controls on their culture and religion. Uighurs, a Turkic-language speaking people, have traditionally followed a moderate form of Islam but many have begun adopting practices more commonly seen in Saudi Arabia or Afghanistan, such as full-face veils for women, as China has intensified a security crackdown in recent years. An explosion at a railway station in Urumqi, capital of China's restive far western region of Xinjiang, on April 30 injured some people, state media said. "Police are evacuating people in surrounding areas," Xinhua said. "Police have cordoned off all entrances to the square of the station.